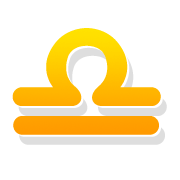 Free weekly horoscope for Libra star sign, for the week 22 Apr - 28 Apr Read on to find out how this week’s astrology aspects will affect you, in matters of love, career and more. Dear Libra, this week will help you come closer to yourself. Your need to balance your emotions in relation to the circumstances around you will be your primary concern. You are interested in feeling well with yourself, in terms of morality and justice. That's why you will be able to interact effectively with the people around you and to promote your thoughts and ideas. The weekend is ideal for short trips, new experiences and exploring new dimensions with friends. Your relationship will play an important role for you this week. You want to create harmonious conditions to be able to live the fairy tale by the side of your partner. You are willing to discuss and overcome any obstacle, in order to feel lighter and calmer. If you are single, take advantage of the weekend that gives you carelessness, optimism and a lot of charm. You will have the right mood to approach new people and become the center of attention. Work will not be a problem for you these days. You are interested in maintaining balance, providing solutions to issues that induce insecurity and going one step further. You can work hard if need be, and this makes you able to overcome every obstacle. In your finances, pay attention to the wise voice that asks you to move conservatively and seeking balance. Not only will you feel better, but you will also benefit your financial situation. Limited time offer: FREE personalised Pluto Retrograde love horoscope! Pluto Retrograde might bring life-defining experiences and you'll possibly come to see the full truth! Are you ready to find out how Pluto Retrograde will shape your personal life? Text HF [space] and your date of birth and send it to 78887 now and you will receive 2 FREE messages with your personal reading! ♎ Get now more details about the impact of the planets this week, based on your ➳ Weekly Horoscope. For a more in depth astrological analysis, check your Personal Horoscope.